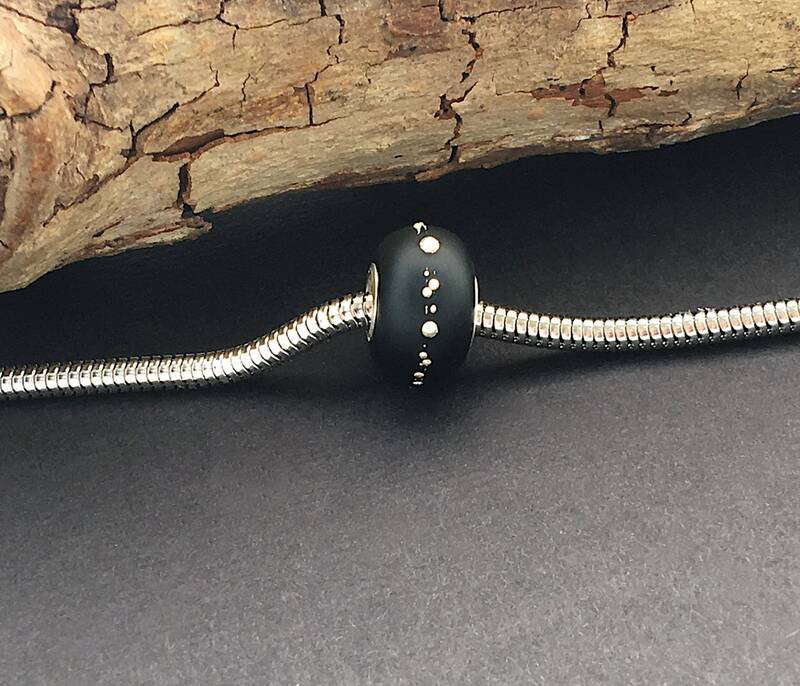 A beautiful black organic shaped European style (large hole) bead (bracelet not included). This bead will fit Troll or Pandora chains. 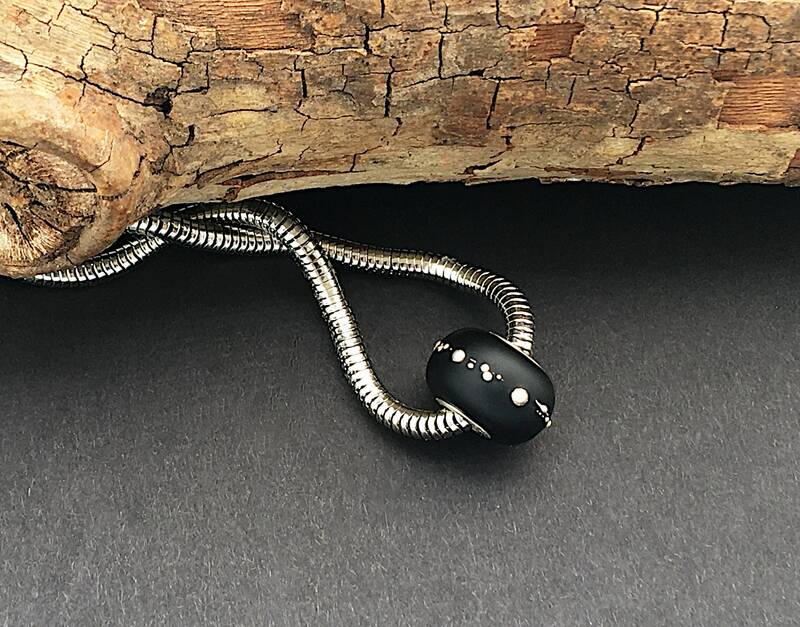 Bead has a 4 mm hole accented with fine silver wire and sterling silver caps on each side. Diameter is roughly 16 mm. 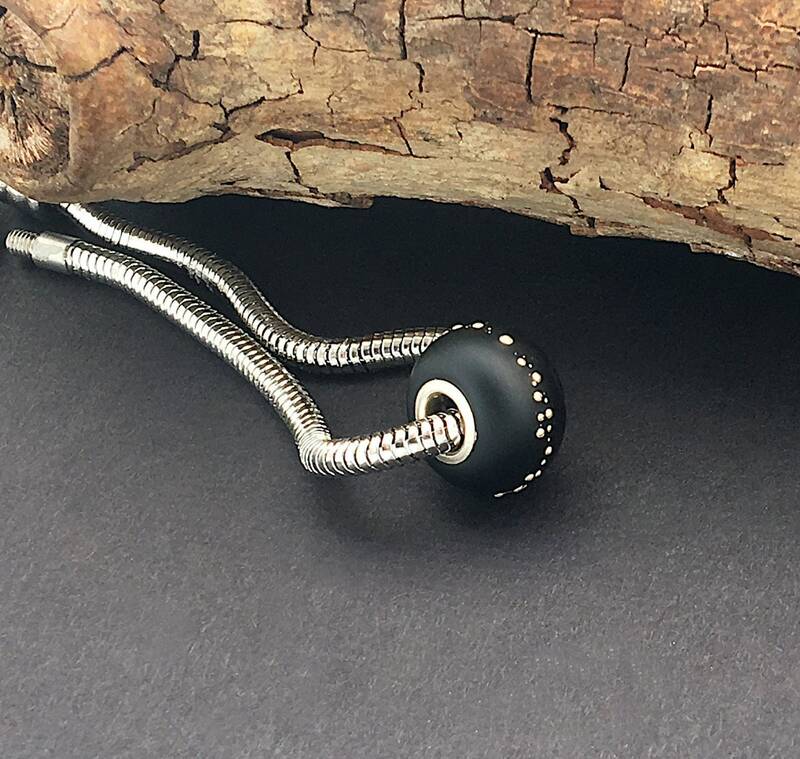 This bead is gently etched (matted) for a soft silky look.